This unit is 530mm wide with 8 cross bars your towel will be fluffy and dry in no time! 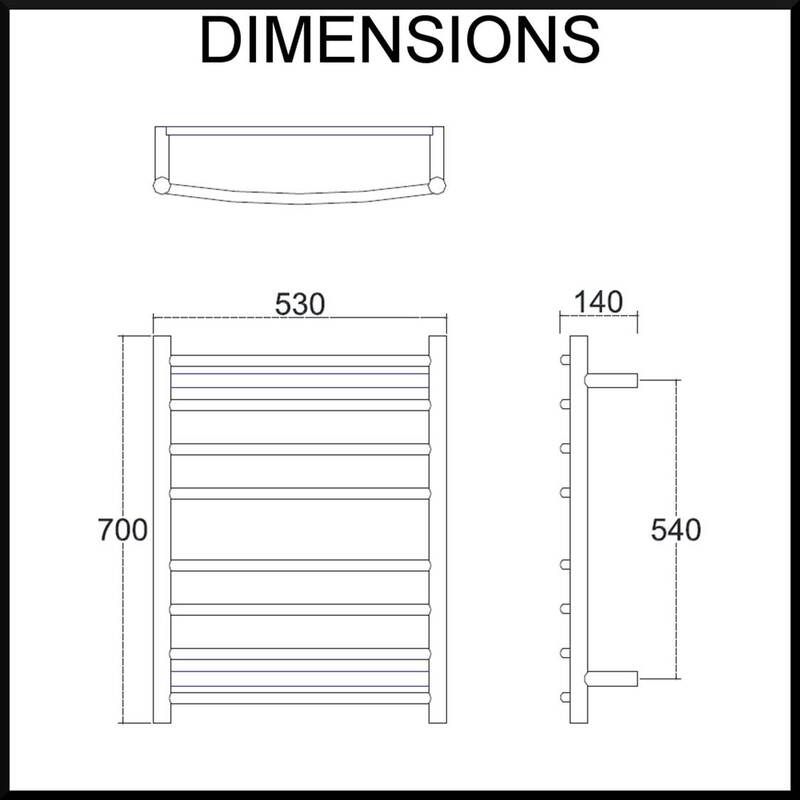 This unit is designed to fit two towels (one on the top four rails and one on the bottom four). Many heated towel rails only have four bars which is good if only one person uses the bathroom!